Indie Retro News: HARBINGER 2 – THE VOID - A NEW ZX Spectrum 128k game that looks very nice indeed! 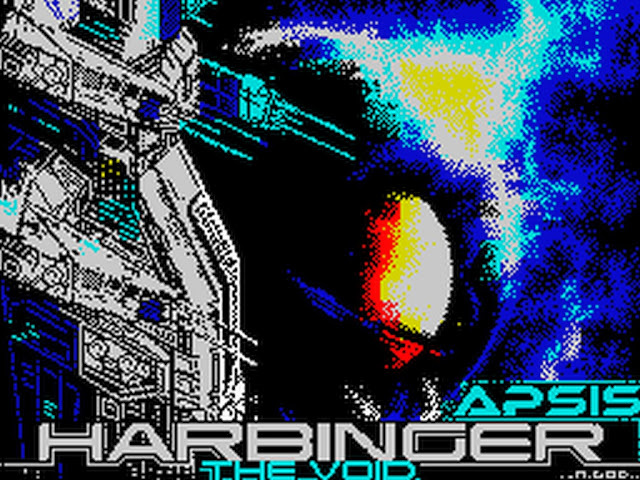 HARBINGER 2 – THE VOID - A NEW ZX Spectrum 128k game that looks very nice indeed! ZX Spectrum owners remember when we said to sit up and take notice of Cthonian Godkiller's (Apsis) mighty ZX Spectrum sci-fi game of ' Harbinger Convergence ', which used the latest Mojon Twins MK2 engine? 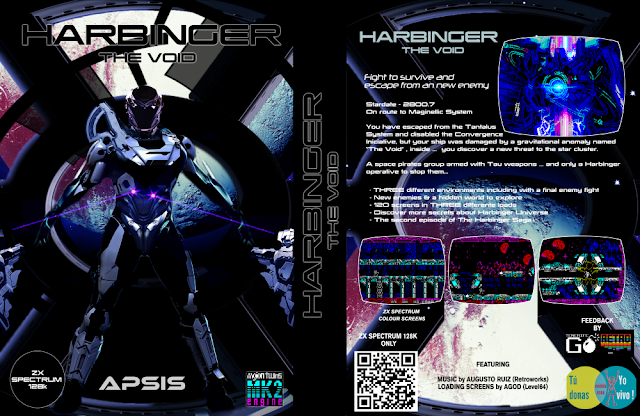 Well you'll be pleased to know the same creator has surprised us big time by releasing the sequel as 'HARBINGER 2 – THE VOID' ; in memory of his cousin David, who sadly died at the age of 24 of fighting Leukemia”. As promised by Geraldo Rivera Rivera this is the second game in the trilogy, and once again looks to feature high grade ZX Spectrum graphics as a side view arcade adventure game with multiple levels. Unlike the first game however, according to the source write up after escaping from the Tantalus System and your ship damaged by a gravitational anomaly named "The Void", you must fight a group of space pirates armed with Tau weapons.